The Fund is managed by the representatives of the insured, employers and users of rights. Pursuant to the provisions of Articles 14 through 17 of the Law on Amendment of the Law on Pension and Disability Insurance which came into force on 29 July 2014 (Official Gazette of Republic of Serbia No. 75/14), a new assembly of the Steering Committee of the Pension and Disability Insurance Fund of the Republic of Serbia comprising seven members has been elected. With the Law on Amendment of the Law on Pension and Disability Insurance, the Supervisory Board ceased to exist as the Fund’s management body and its mandate ended on 29 July 2014.
four members proposed by the minister in charge of pension and disability insurance matters and the minister in charge of financial matters. one member from the insured persons proposed by the representative trade union with the largest membership founded on the country level in accordance with the law regulating labour. one member from the employers proposed by the representative employers’ association with the largest membership founded on the country level in accordance with the law regulating labour. one member from the users of rights proposed by the pensioners’ association with the largest membership founded on the country level. The pensioner’s association should submit a proof of the number of registered members to the ministry in charge of pension and disability insurance matters in accordance with the act passed by the minister. 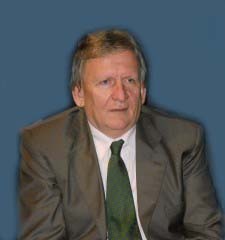 The President of the Steering Committee is Danilo Vujičić (Government of the Republic of Serbia). Members of the Steering Committee are appointed for a term of four years. The chairperson and deputy chairperson are elected for a term of two years. Taking care of the Fund business policy, providing resources for the functioning of the system of pension and disability insurance. Adopting the Statute and other general Fund acts. Adopting acts for organization of Fund. Determines the base for paying contributions for certain insurance categories, with the consent of the Government of Republic of Serbia. Adopting financial plans, annual and mid-term accounting, and annual agenda. Deciding on the Fund business plan. Carry out competition for Fund manager selection. Adopting reports on Fund business. Decide on entrusting administrative, analytical, financial, administrative, technical and other tasks to other funds and/or organizations, and performing such tasks for other funds and/or organizations. Adopting the Steering Committee Business Rule Book. Propose the act which regulates occupational disease, physical impairment and jobs in which pension insurance service is calculated with higher rates. Decide on other issues and performs other duties in accordance with the Law and Fund Statute. The Steering Committee issues reports to the Government of the Republic of Serbia on Fund business, no later than April 30 in the current year for the previous year. The Government of the Republic of Serbia gives approval for the Fund Statute and Fund Annual Agenda. The Manager of Pension and Disability Insurance Fund is Dragana Kalinović. Manager of Pension and Disability Insurance Fund of the Republic of Serbia. Organize labour and business of Fund and ensures that Fund acts in accordance with applicable laws and regulations. Implements decisions of the Fund Steering Committee. Adopts the act on organization and systematization of Fund employees, with the consent of the Fund Steering Committee. Manage the work of Fund employees. Implement commands for the execution of the Fund financial plan. Propose general acts which are passed by the Fund Steering Committee. Issues second-degree decisions on pension and disability insurance rights and revision procedure. Issues decisions and other general acts passed by the Fund Steering Committee and Supervisory Board. Issues general acts in accordance with the Law and Statute. Decides on temporary investment of free assets in accordance with the Law. Issues the decision on general point value adjustment, decision on adjustment of pension and financial compensation from pension and disability insurance, decision on determination of insurance bases used for the calculation and payment of contributions for pension and disability insurance for persons who are included in compulsory insurance, decision on previous pension adjustment for certain insurant categories, and decision on the amount of compensation for funeral expenses. Coordinate the work of the Fund Directorate and Province Fund. Performs other duties in accordance with the Law and Fund Statute. The Fund Manager, upon conducting competition, appoints the members of the Steering Committee, with prior consent of the Government of the Republic of Serbia, for the period of four years.The Fund Manager is also the manager of the Fund Office for Pension and Disability Insurance.